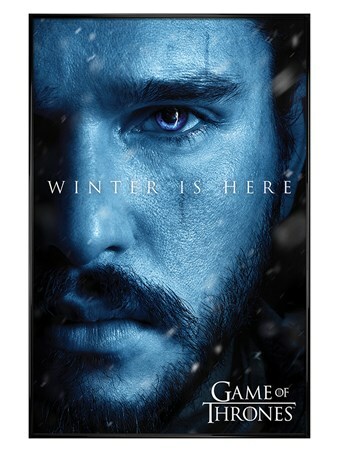 Heed the Stark's motto as the long night finally reaches beyond the wall to smother the realms of men. 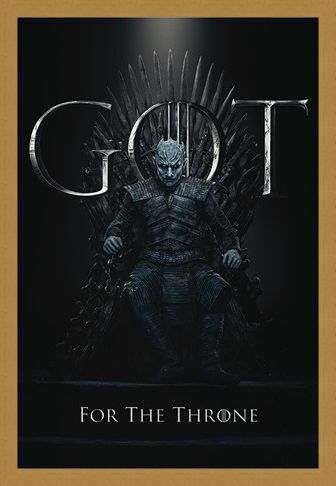 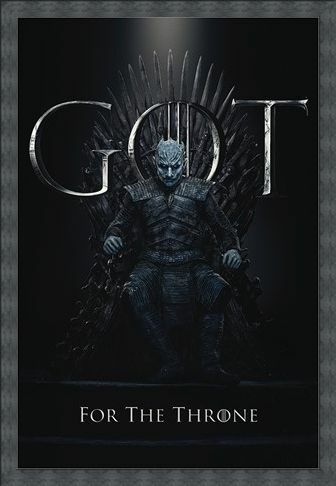 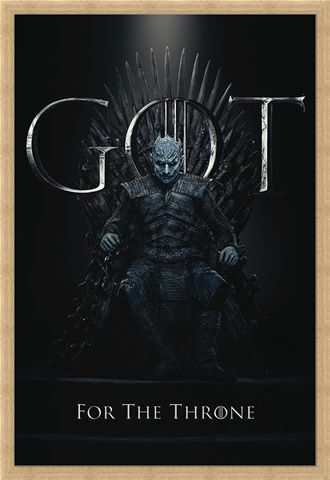 Unspeaking, unfeeling and with no apparent motive, the Night King was nothing more than a legend... until now! 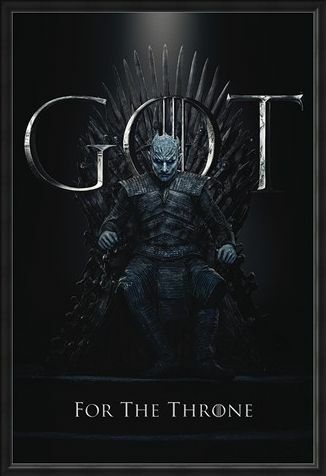 Created by the children of the forest, thousands of years ago, little is known about this formidable figure other than his power to raise and control the dead. 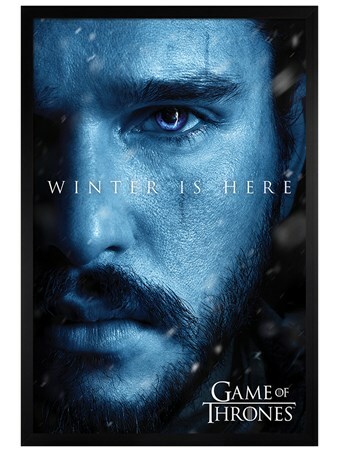 Seated upon the Iron Throne, will the blue-eyed king reach as far as King's Landing? Whether you revere him as friend or foe, this dangerous leader is ready to rally his armies in an all out war 'For The Throne'. 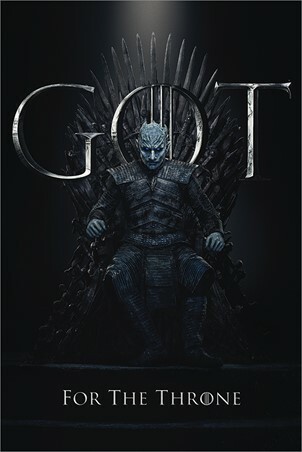 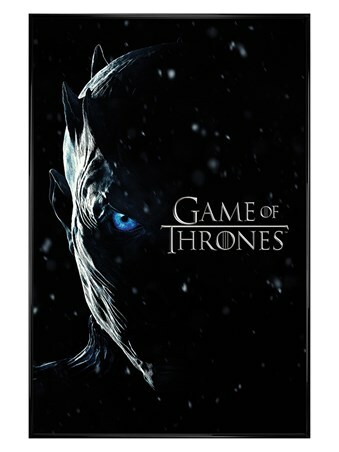 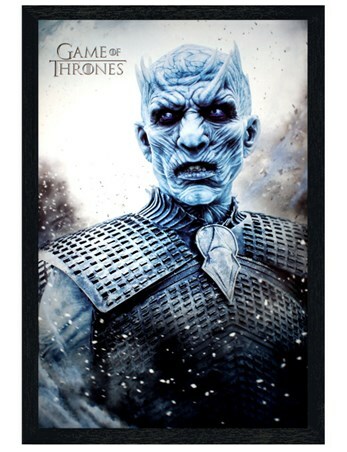 Join the ranks of Game of Thrones fans with this powerful poster featuring the emotionless white walker, head bowed, fixing the room with a glacial stare. 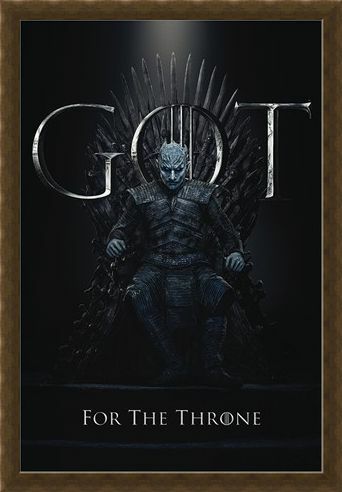 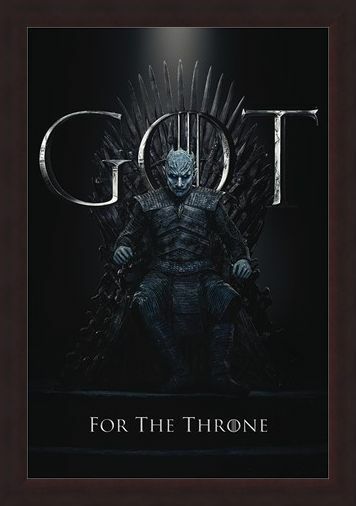 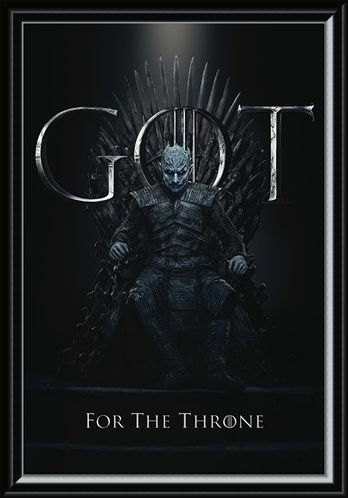 High quality, framed The Night King For The Throne, Game Of Thrones poster with a bespoke frame by our custom framing service.